Call 020 3746 1366 or fill up the online contact form, and our 24/7 customer support will give you a non-binding and free estimate, as well as information about our current deals and discounts. Proper gutter cleaning is crucial if you want to maintain your gutters and downpipes unclogged, and protect your property from water damage. Our professional gutter cleaners will use advanced tools to ensure that all leaves, twigs, dirt and other debris are removed properly. A powerful water or dry vacuum cleaner is used. It has telescopic poles with tiny cameras on top, so that the cleaners can see any debris and remove it. Ashlee House Cleaning offers a 30 days quality guarantee. If your gutters get clogged within 30 days of the cleaning, we will send a team of cleaners to unclog and clean them again for free! We have highly experienced roof cleaners who can bring your roof back to pristine condition in no time. They use strong jet washing equipment as well as telescopic poles which can remove lichen, mildew, algae, icky discolorations and moss from any roof. This will make your estate look much better, and will keep it protected from damage from all the potentially damaging growths on it. You may save lot of funds for repairs, by booking our service. We will ensure that your roofing is nice and thoroughly clean and we will do it at a very reasonable price. If you need assistance with the cleaning of your gutters, your roof or your outside windows, do not think twice to book our first quality cleaning services now! We have a highly efficient system for service appointments. Our client support team is available 24/7 to process your demands. Simply just call 020 3746 1366 or send us an booking form. Within the next 2 hours you will receive an e-mail verification for your booking. Our expert window cleaners will clean without any ladders and without hanging out into your windows if you are up to the Fourth floor. Our services come at fair prices, with no concealed fees. Book more than One service and you will certainly spend less both time and money. There are special offers for those who book early on, for our frequent clientele, as well as for nearby real estate firms and landlords. 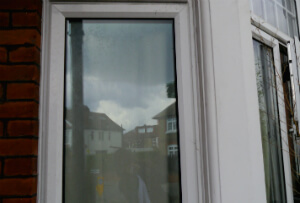 And so, if you really want your windows thoroughly cleaned - book our window cleaning Maryland E15 service at this moment!